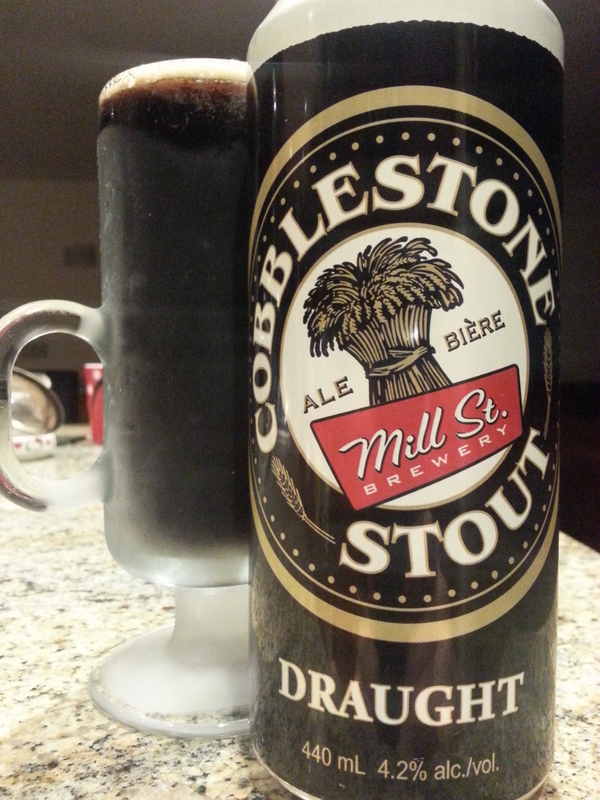 Cobblestone Stout – Mill St. Brewery (Toronto, ON, Canada) | Justintoxicated. Visual: Aluminum can. Pours ultra dark brown/black with bubbles clinging near the bottom-base of the glass, virtually no head, a very thin ringed retention, almost no activity other than a few bubbles surfacing. Nose: medium roasted malts, burntness. (lvl-6)-pungency. Finish: roasted coffee exhale, bittersweet malty finish. Summary: The watery mouthfeel coupled with the almost flat mouthfeel put me off on this one. Flavour of roasted malt is ok but texturally unbalanced on the sour side.